There are 5 posts tagged srm (this is page 1 of 1). Stretched clustering is one of the challenging topics I get when meeting with customers. Many customers think that stretched clustering is the ultimate disaster recovery solution and that it makes SRM obsolete. This is due to the fact that people think that HA will solve all their problems when it comes down to DR and that they still have the advantage of vMotion to have workload mobility between two data centers. This however isn’t always true and there are some catches to the implementation of stretched clusters. In some cases, depending on the customers requirements, it even is better to have an SRM implementation to fulfill the requirements. The table below give a graphical representation of which solution best suits which requirement. So in the end its up to the customer to decide which solution best suits its requirement. To help make this decision VMware Tech Marketing created a whitepaper to help make the right choice. A must read for everybody involved with disaster recovery and availability within a vSphere infrastructure. Lately I’ve been working on a VMware Site Recovery Manager (SRM) 4.1 implementation in combination with a the Symmetrix storage arrays by EMC. Designing and figuring out how to get SRM working in combination with the storage arrays is the hard part of the job. It requires knowledge of SRM, the EMC storage arrays and the vSphere infrastructure that you are implementing SRM into. 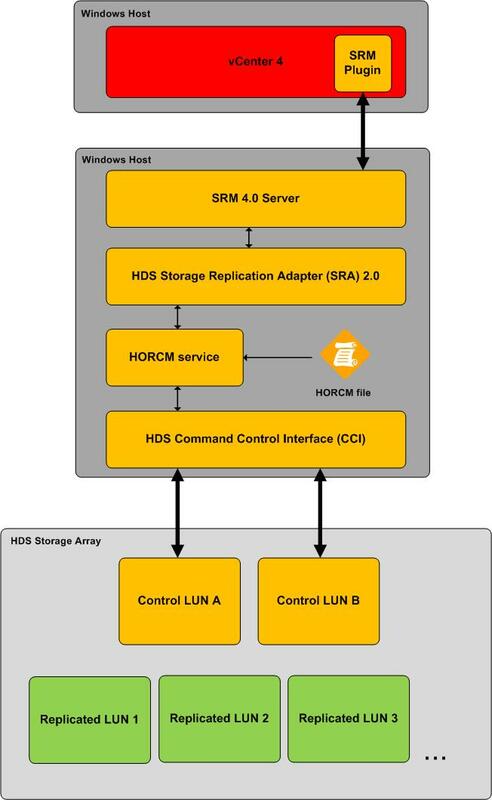 The hard part is in the connection between SRM and the storage arrays. EMC providers a Storage Replication Adapter (SRA) , the EMC SRDF adapter, to integrate SRM with the Symmetrix storage arrays. You need to understand how the SRA works, how to get it to working in combination with the Solutions Enabler software and how to present the replicated LUNs to your SRM. EMC has written a document, “Using EMC SRDF Adapter for VMware vCenter Site Recovery Manager”, to fully understand all the software tooling and components involved in setting up a SRM implementation in combination with Symmetrix storage arrays. Chapter 1, “Introduction to VMware Technology,” introduces the reader to VMware and its technologies. 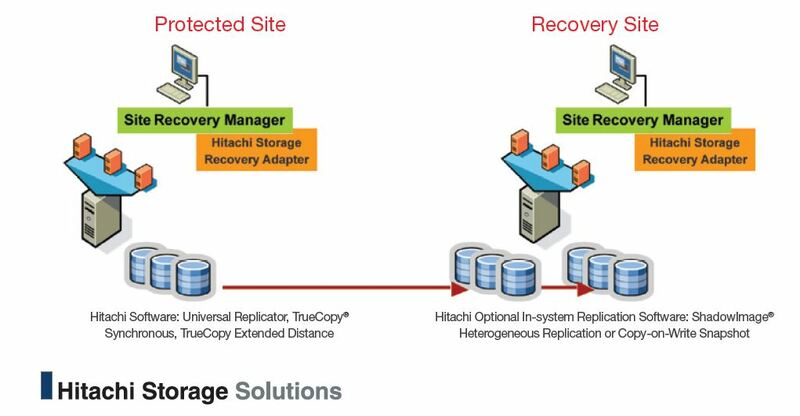 Chapter 2, “Installation and Configuration,” discusses the installation, setup and configuration of the EMC SRDF Storage Replication Adapter for VMware vCenter Site Recovery Manager version 4. This chapter also presents detailed best practices for installing and configuring Solutions Enabler for management of Symmetrix storage arrays. Chapter 3, “Testing Recovery Plans with SRDF Adapter version 2.2,” presents how to configure and execute recovery plans with SRM version 4 and EMC SRDF Adapter version 2.2. Chapter 4, “Failover and Failback with SRDF Adapter version 2.2,” discusses how to configure and execute failover and failback operations with SRM version 4 and EMC SRDF Adapter version 2.2. Appendix A, “Symmetrix Access Controls with EMC SRDF Adapter,” discusses how to use Symmetrix Access Controls to manage access and control of the Symmetrix storage arrays visible to the VMware vCenter Site Recovery Manager server. Appendix B, “Solutions Enabler Licensing,” discusses how to license Solutions Enabler to make use of the EMC SRDF SRA features. This section includes pre-Solutions Enabler 7.2 host-based licenses as well as Solutions Enabler 7.2 Symmetrix-based eLicensing. Hopefully this document will help others understand SRM better and to successfully implement SRM with EMC Symmetrix storage arrays. It helped me in getting the job done! Thanks EMC.